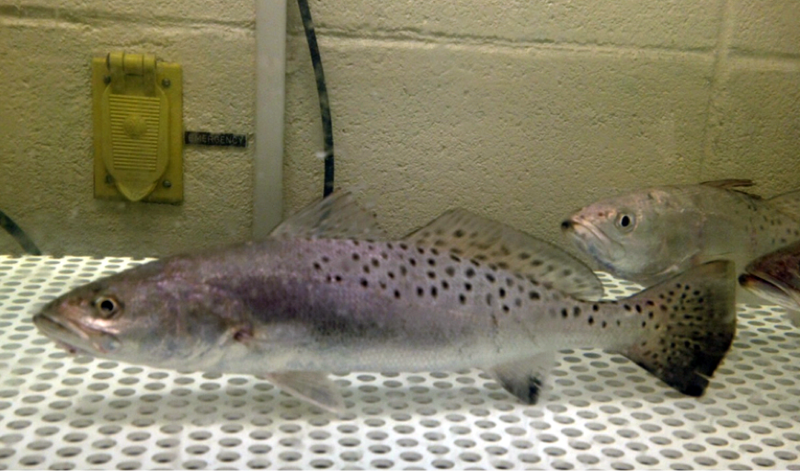 Spotted seatrout, Cynoscion nebulosus, are important recreational fish that range from the Atlantic coast to the Gulf of Mexico. 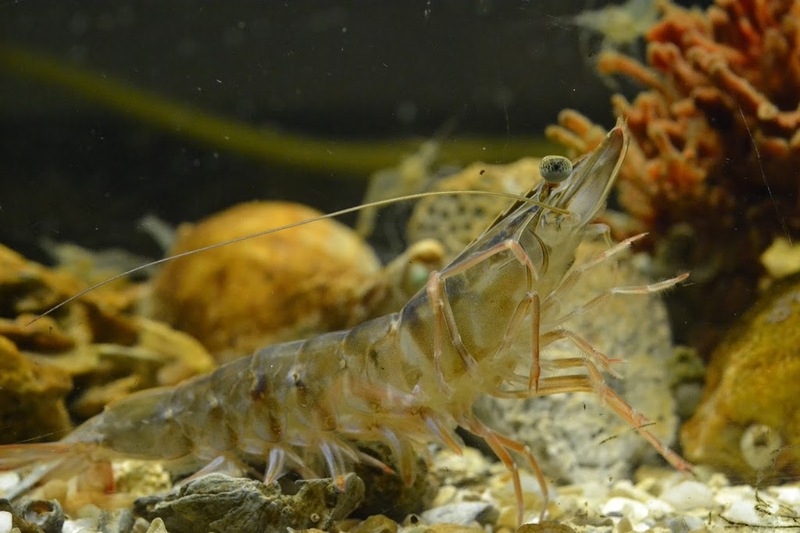 They are also good indicators of environmental changes in estuarine habitats since all of their life stages are found in estuaries1. 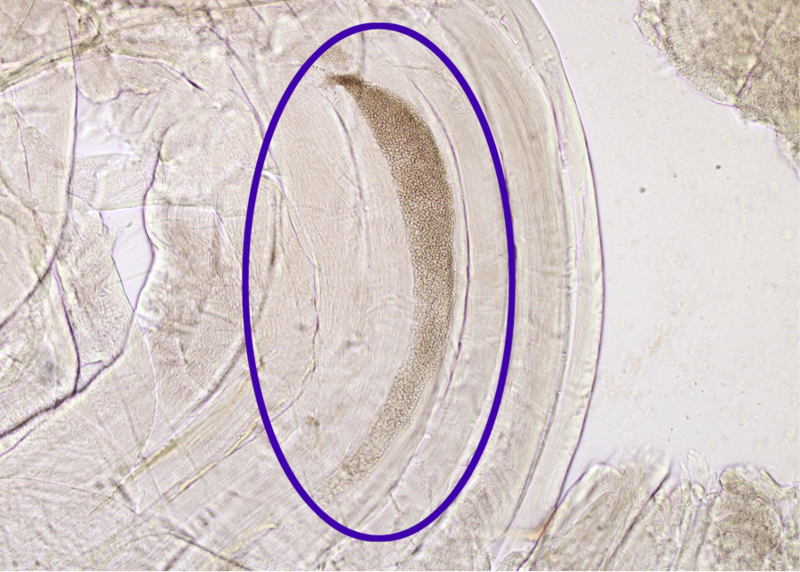 To reiterate, I am studying muscle softness in spotted seatrout induced by the parasite Kudoa inornata. 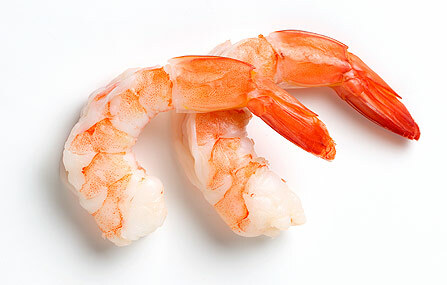 Several Kudoa species are notorious for causing this muscle softening, which makes the meat of the fish go bad faster than in uninfected fish2. This is an issue with fish that are consumed by people, such as the commercially important farmed Atlantic salmon2. Fig 1. Spotted seatrout that were caught via trammel netting (PC: Sierra Duca). First of all, to study this I need fish. While the mode of infection of Kudoa parasites is not well understood, it is presumed that wild spotted seatrout have a higher rate of infection of Kudoa inornata; therefore, I needed some wild spotted seatrout. In addition to the traditional hook and line approach of fishing for spotted seatrout, I was able to join a group at the South Carolina Department of Natural Resources (SCDNR) as they went trammel netting. 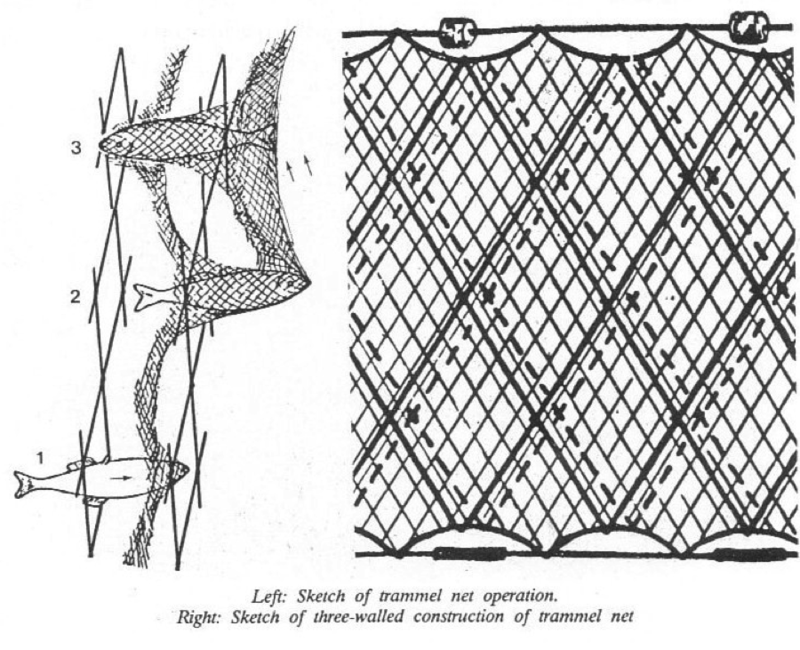 In comparison to other nets, trammel nets have three layers of netting that vary in size in order to catch fish of various sizes. Fig 2. This illustration depicts the basic function and structure of a trammel net. A similar such device is used by the SCDNR to catalogue fish in specific sites over time in order to study the changing population dynamics of various fish species. Once I have the fish I fillet, refrigerate, and take muscle biopsies at time points between 0-6 days, which is the most likely time that the fish would be consumed. I test the firmness of these muscle biopsies, as well as the parasite density. What I am trying to accomplish is to establish whether or not there is a link between parasite density and accelerated muscle softness (which causes the meat to go bad faster in infected fish), and if the rate of muscle softening changes over the course of 6 days. Ultimately the project will help increase our understanding of the effects of Kudoa inornata on the muscle of spotted seatrout. Fig 3. This image (under 100x magnification) displays a plasmodium structure that contains a cluster of spores (known as myxospores) of Kudoa inornata in the muscle tissue of spotted seatrout. One way that I quantify parasite density is by looking at the average area of plasmodia. I can do this because generally larger plasmodia are found in the more infected fish (PC: Sierra Duca). Acknowledgments The Fort Johnson REU Program is funded by the National Science Foundation. This research is made possible through the mentorship of Dr. Eric McElroy and Dr. Isaure de Buron. 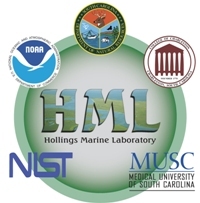 In addition, I would like to thank the College of Charleston and the South Carolina Department of Natural Resources for providing the help and facilities necessary for my project.